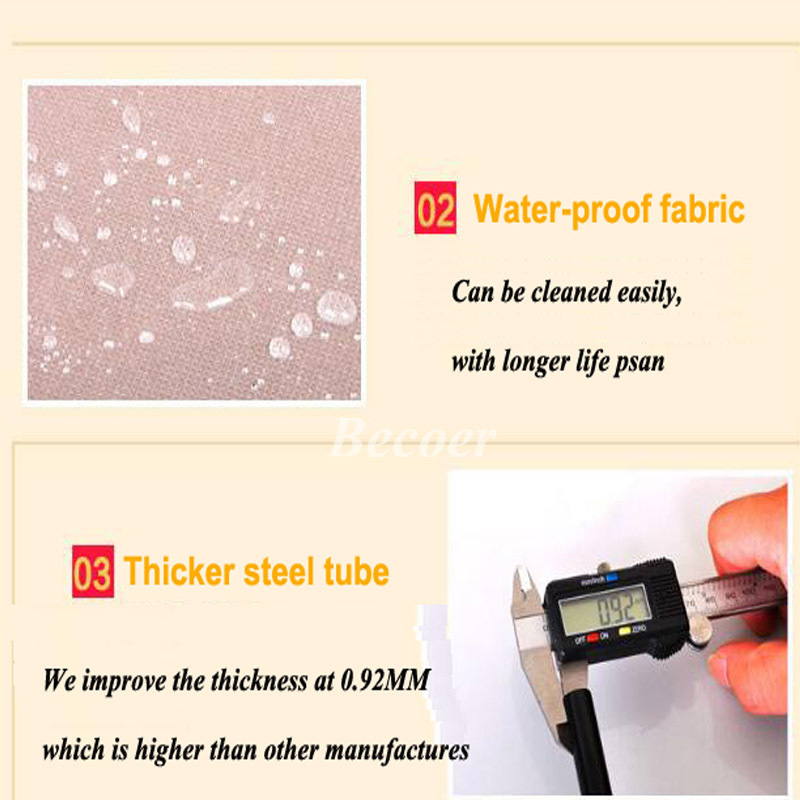 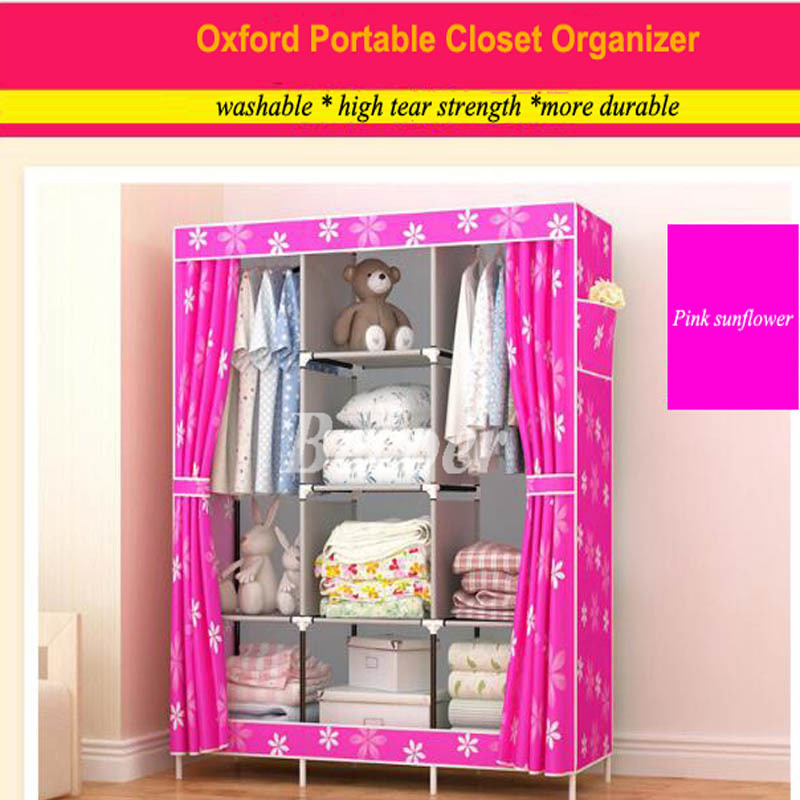 Water-proof Oxford.The Portable Closet Organizer is made of 210 D Oxford with coating which is water-proof.The fabric has high tensile and tensell strength will enable the product a long-time storing usage.Also the fabric is 100% eco-friendly, formaldehyde-free,not easy to wheathering,you can use it over 5 years. 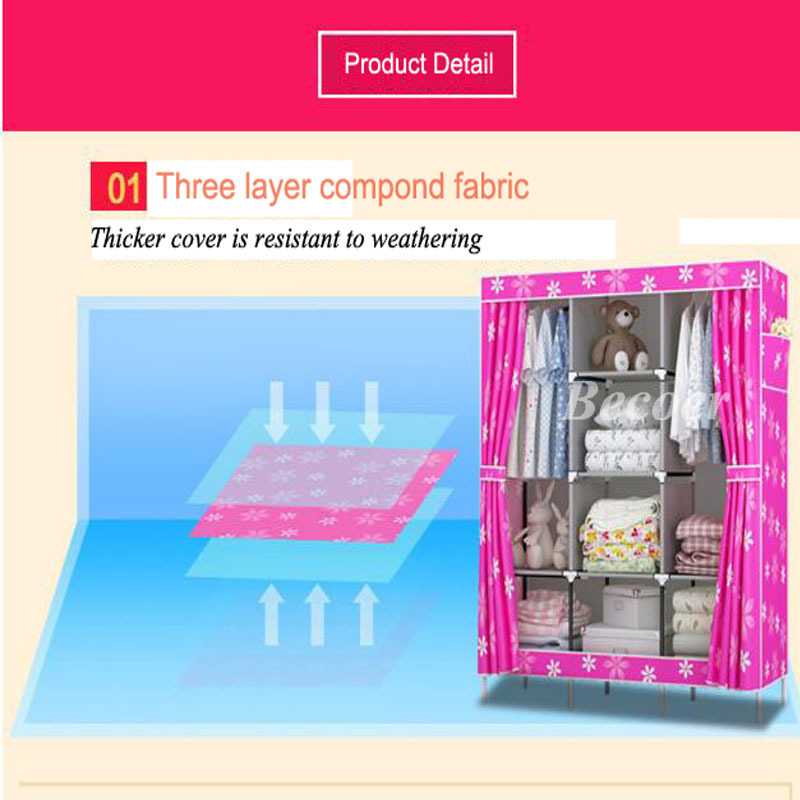 Various Color.There are printed and solid colors for your option,MOQ will be 1 set if we have in stock,we also accept customized order,please feel free to contact us if you need us to print your design on the product. 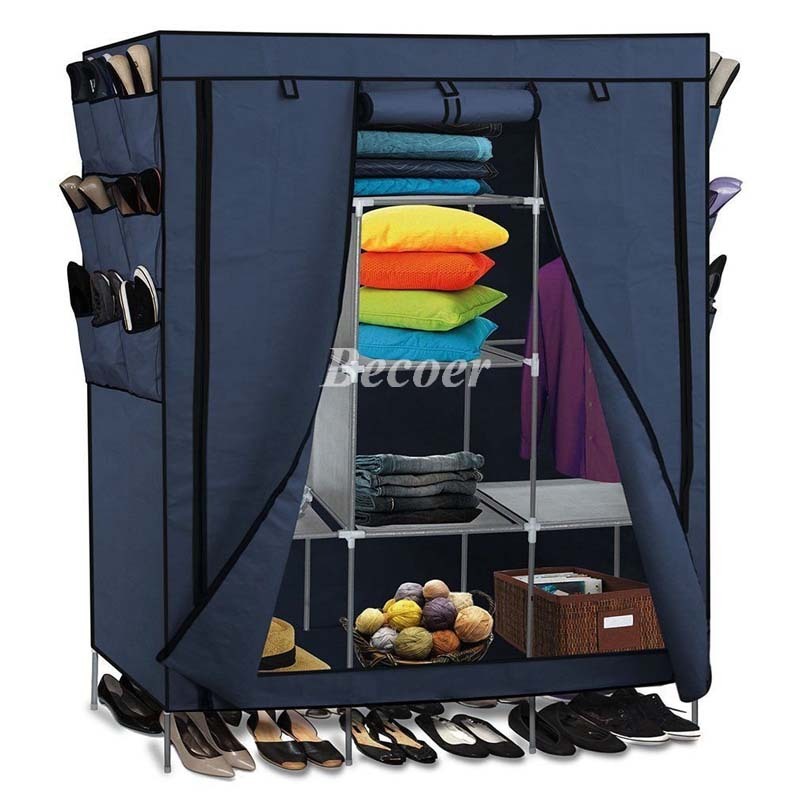 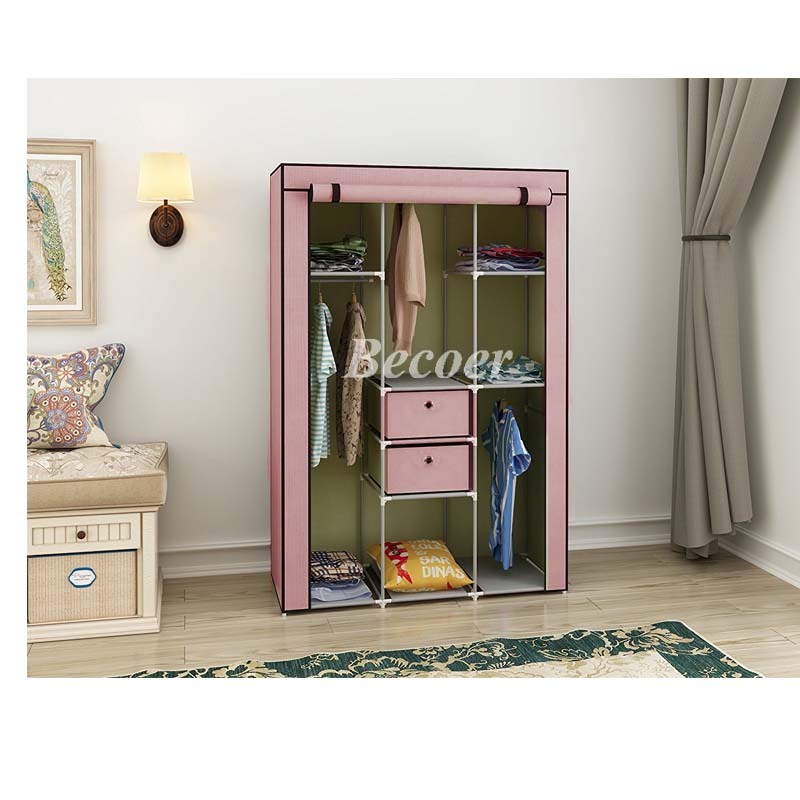 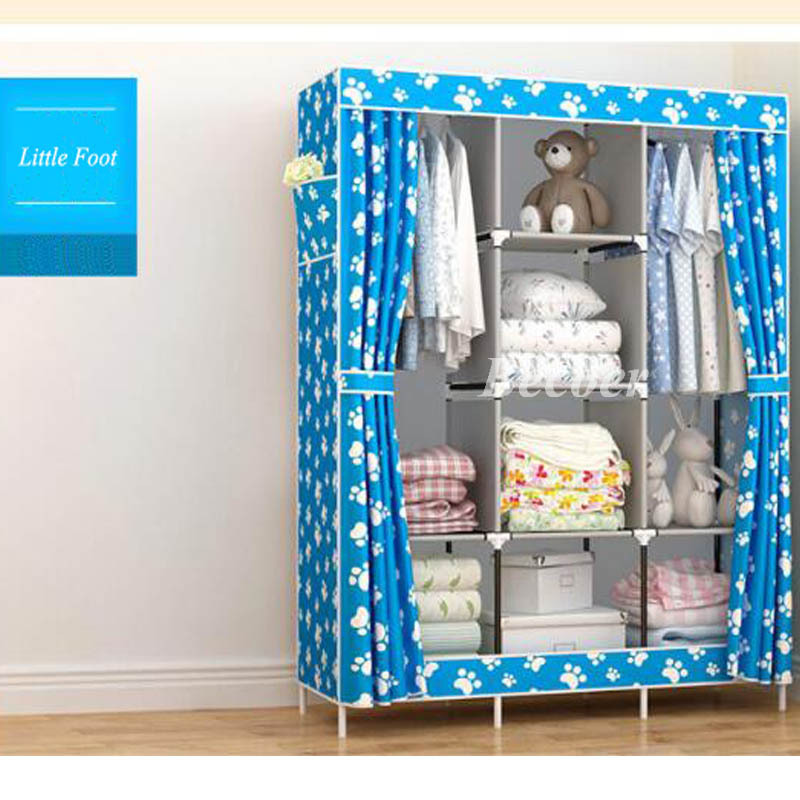 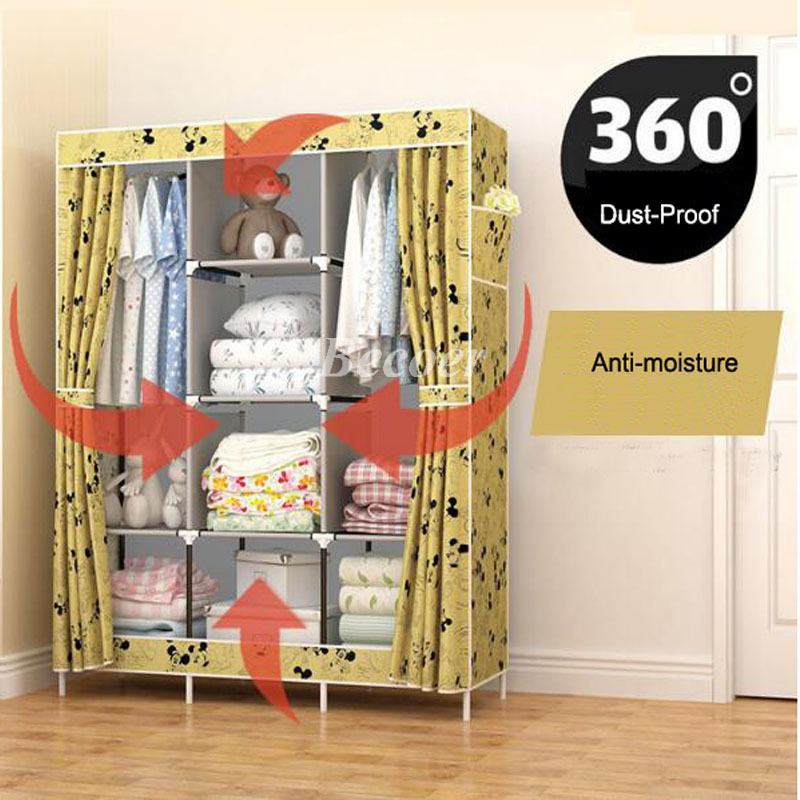 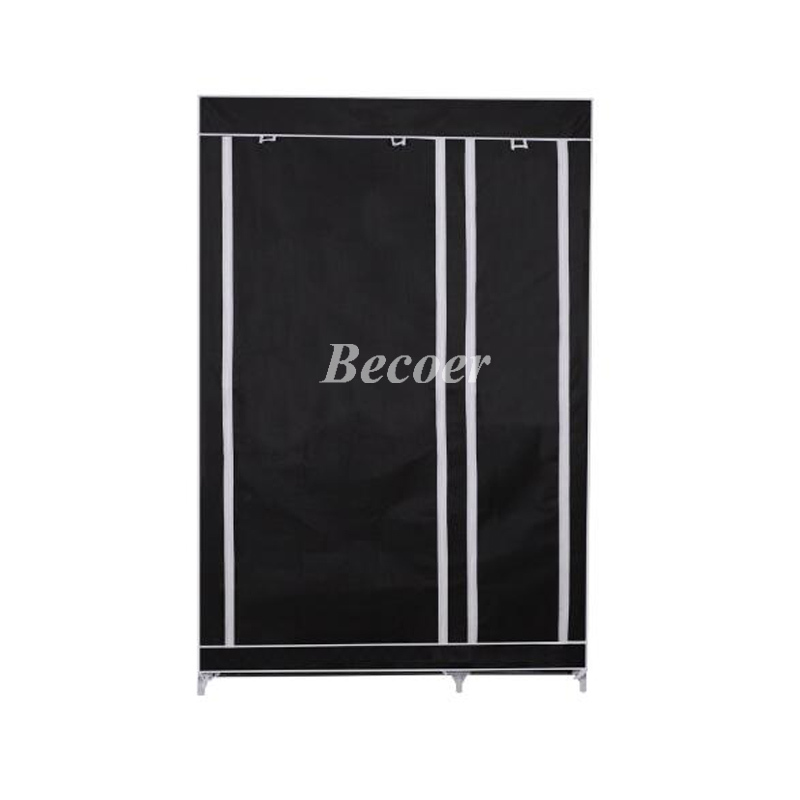 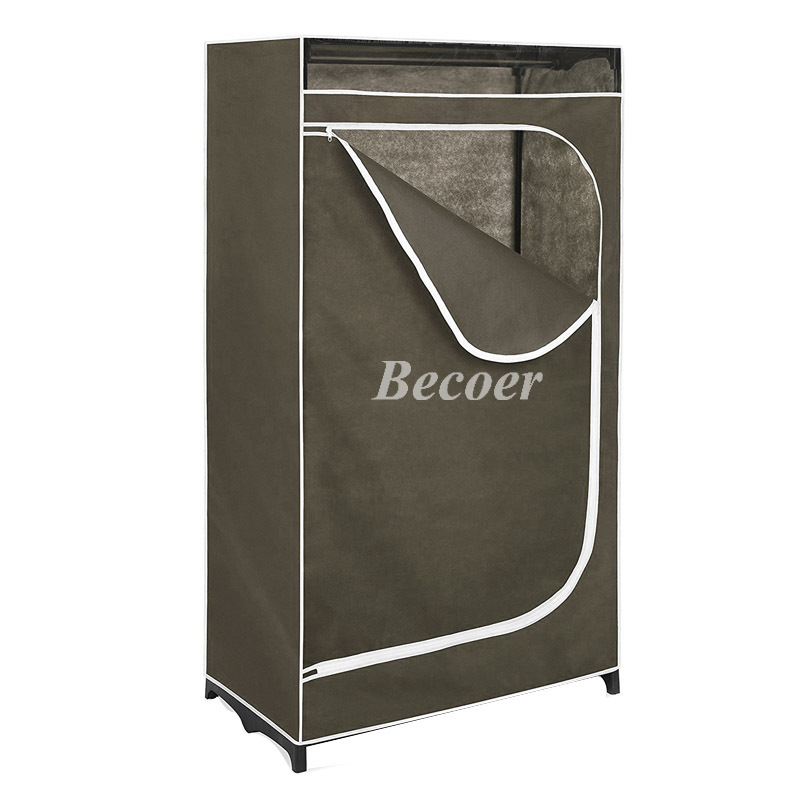 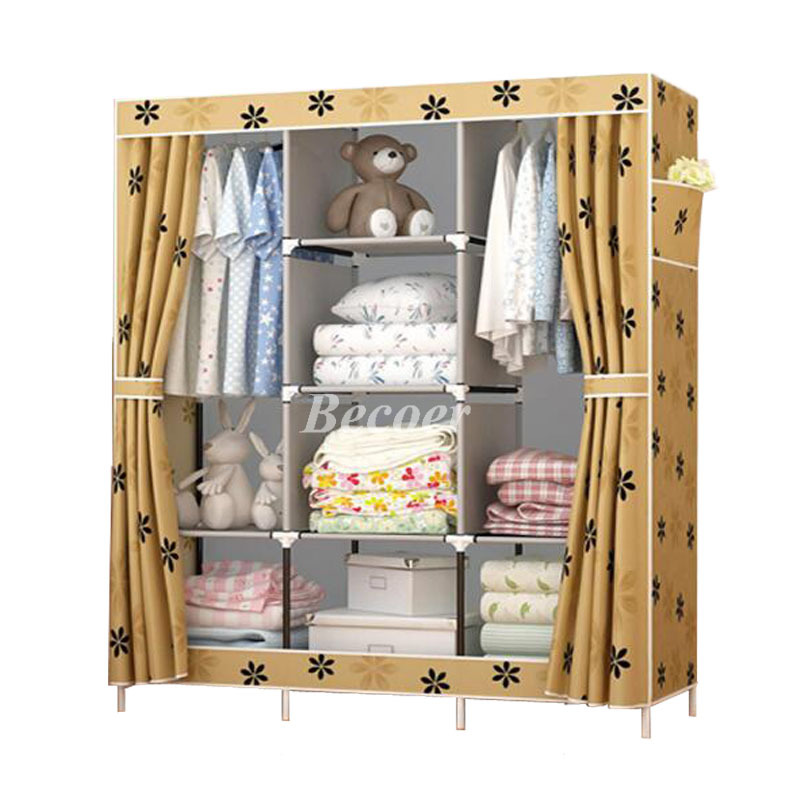 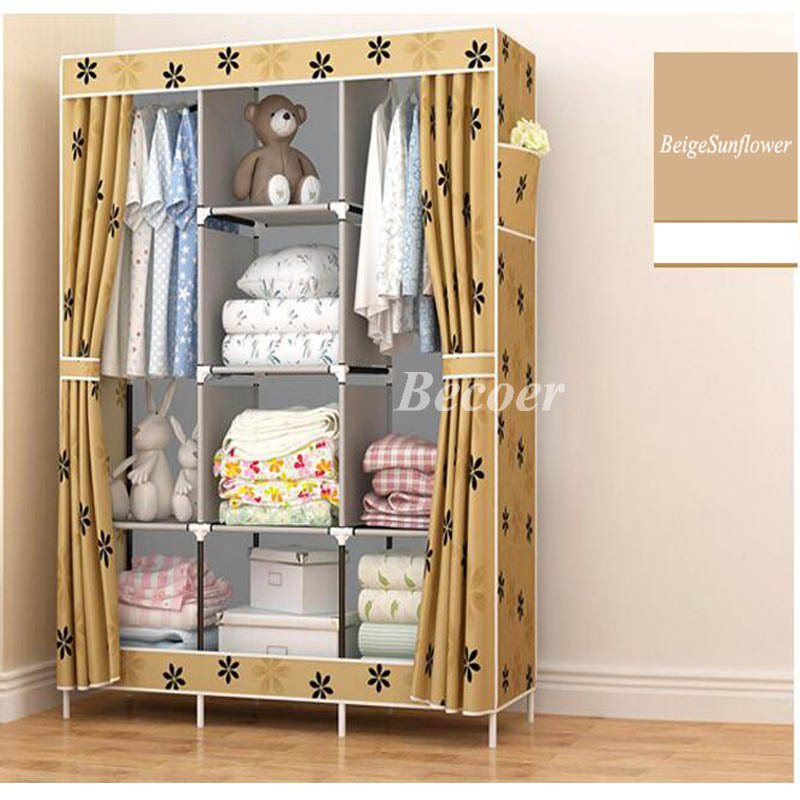 Considerable design.The design of the Portable Closet Organizer can be 360° anti-dust as you can closet it from front.